Leone, founded by Vincenzo Leone, was an Italian mopeds and auxiliary motor for bicycles manufacturer. 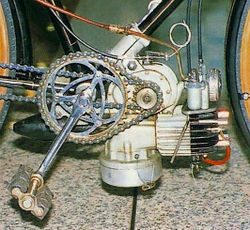 In 1948 they created a small block with a lying down 50 cc cylinder. Although it is possible they used the cube as an auxiliary motor for bicycles meant he had a few years of experience with mopeds. 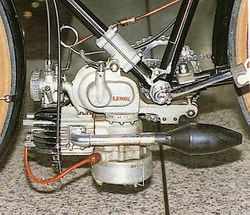 In 1952 Leone developed a small 75 cc motorcycle from a block.